The Hyundai Elite i20 is one of the best selling cars in India today. Ever since the Elite i20 was introduced, sales have only sky rocketed for the Korean carmaker. 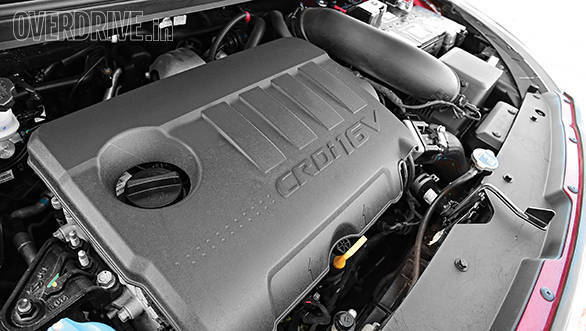 The car offers a long equipment list, look stylish and features a proven diesel motor too. The competition has been playing catch up but none of the cars have managed to give the Hyundai a good fight. But all of that may change now with the arrival of the all-new Jazz. 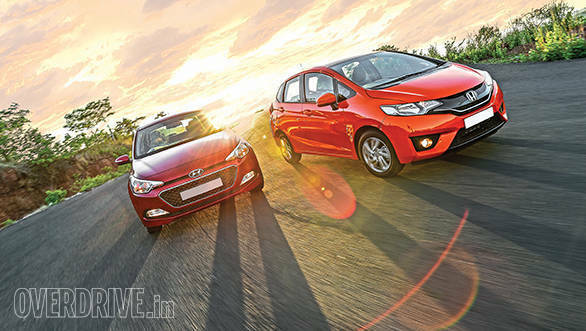 The Honda is ready to face the i20 - let the battle begin. There are quite a few i20s on the road today but the car still manages to look fresh and attractive. In fact it's one of the main reasons for the car's success.The design language is more European than Korean and it stands out amongst the rest of the pack. 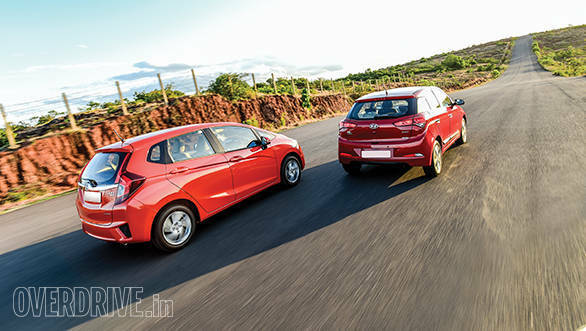 The Jazz however has its own appeal and in its new generation avatar adds some freshness to the segment. There are a lot more lines running across the Honda but the Hyundai is still the sleeker car. Both cars miss out on DRLs despite those being on offer internationally. While we like the Jazz's front end, the i20 has a better looking rear. It's a similar story inside too - the Elite's interior is well laid out and sleek while the Jazz's cabin follows an edgy theme . The Hyundai offers better quality plastics though and is finished well too. But the Honda beats the i20 by a margin when it comes to space. This is quite a feat since the Hyundai is still one of the largest cars in the segment. 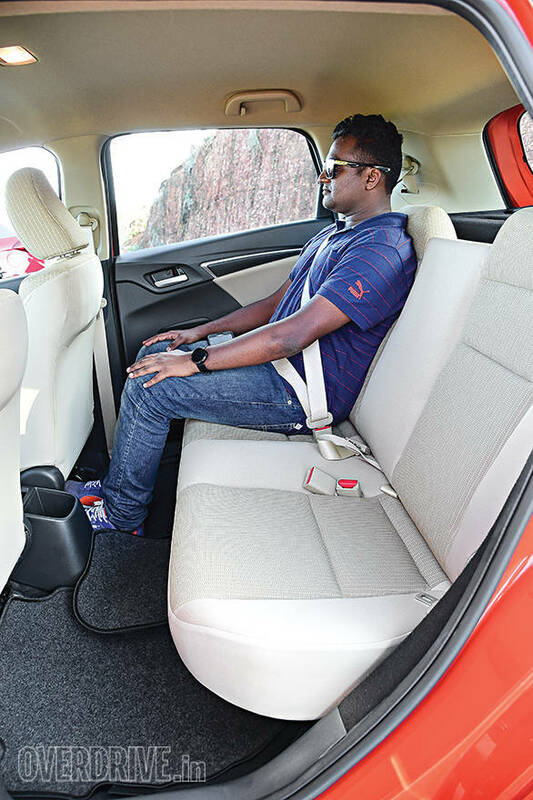 There's more knee room, shoulder room and boot space in the Jazz. The top VX variant even offers various rear seat folding options, making it the ideal hatchback for moving cargo. 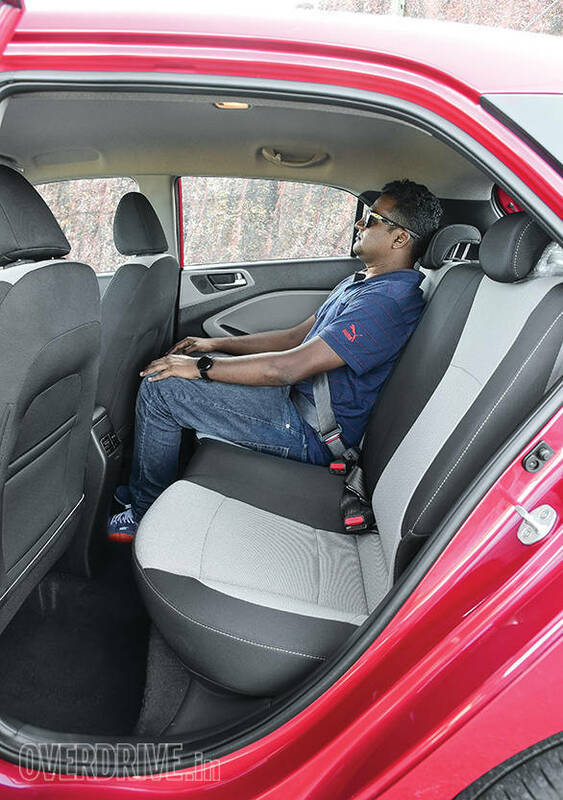 In terms of comfort, the Jazz seats are softer but for longer drives, the i20's firm seats may be a better bet. The i20 top variants also offer rear AC vents, a feature the Jazz lacks. It's a tough call between the two when it comes to styling, but the Jazz is the space king. Both cars feature diesel and petrol engines. 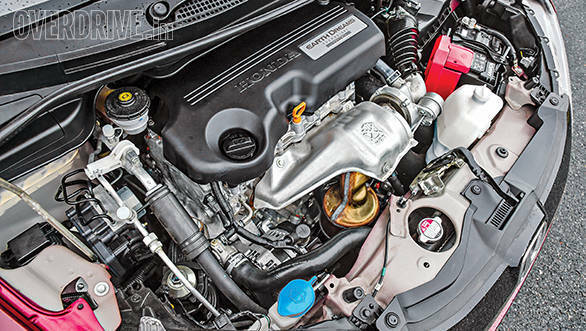 The Honda's 1.2-litre i-VTEC unit is better in terms of refinement and performance. It also returns a higher claimed efficiency. 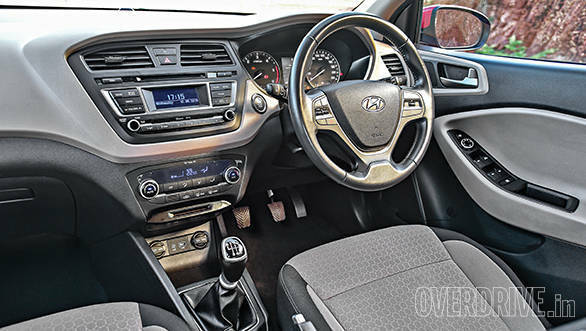 The Hyundai's 1.2 VTVT unit lacks low end poke and doesn't feel as eager even as speeds rise. Gears shifts are smoother in the Hyundai but aren't as positive as the Honda. The i20 still doesn't offer an automatic transmission. The Jazz does, so if you're looking out for an automatic hatch, look no further. What about the diesels? Well, the Jazz's claimed fuel efficiency is a lot higher than the i20 (27.3kmpl and 22.54kmpl, respectively). But that's where the advantage ends, the CRDi motor is more responsive, refined and a lot more quiet at idle and while on the move too. On paper, the i-DTEC motor puts out more power and torque but it somehow doesn't feel like it on the road when compared to the i20. Power delivery is stronger in the Hyundai. On the highway, both cars cruise effortlessly at triple digit speeds. The i20 is one of the most improved Hyundais when it comes to dynamics but the Honda is still the more involving car to drive. The steering offers better feel and is a lot more direct. The i20's steering wheel weighs up unnecessarily at slower speeds and feels vague when it comes to feedback. Both cars are stable at higher speeds and have improved considerably over their predecessors. When it comes to ride quality, the Jazz is quite impressive but drive the i20 right after that and there is noticeable difference. The Hyundai's suspension is better at soaking up potholes and speedbreakers. The ride is smoother over broken surfaces and road noise is lower as well. Finally lets see how the cars fare in terms of safety and comfort. We don't know about all the Jazz variants yet. However, we expect the base variant to offer standard ABS and a driver side airbag. If this is the case then the base i20 will lose out in terms of safety since the car doesn't feature airbags and ABS. The Hyundai, however, manages to offer more comfort features. The Asta which is the top variant gets auto folding mirrors, keyless entry and ignition, two 12 volt power sockets, reverse camera with adaptive grid lines, parking sensors and rear AC vents, to name a few. 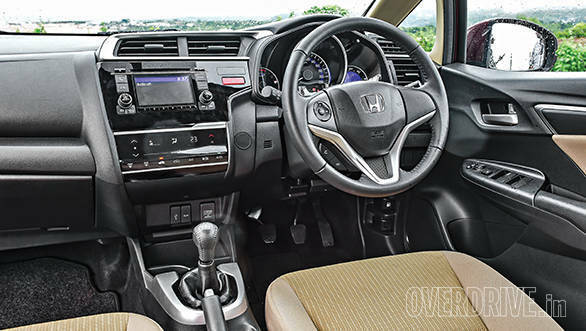 The Jazz misses out on these features but then the top end VX variant gets additional functions like a large centre mounted touchscreen stereo with navigation and reverse camera output and four different rear-seat folding options including a reclining option. The petrol Jazz is the smarter buy. The i20 isn't available with an automatic transmission yet so Honda has the advantage here. Compare the diesels and it's the Hyundai that sneaks ahead in terms of refinement and driveability. However, the Jazz is more spacious and is claimed to return more to the litre, making a strong case for itself. It's not going to be easy for Hyundai - the real competition has finally arrived with a starting price to match.